We walked our 5-acre yard yesterday looking for those things we need to take care of before the weather gets too hot and the mosquitoes make yard work impossible. 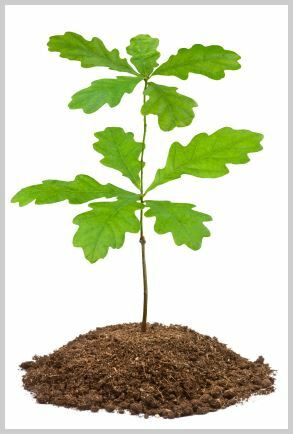 We’ve decided to plant an oak grove –100 trees. To anyone interested, Arbor Day is coming on April 25th. Here are some resources for free or almost free trees for you to plant. I find that prediction odd. They expect a “normal to perhaps an above average amount of severe thunderstorms”. It seems rather all-encompassing, doesn’t it? Expect a bad but perhaps good day. Expect a tasty but perhaps a bland dinner. Just odd. Remember when seasons came in fours? Spring and fall had very particular weather. Jacket weather. The sun was warm but the air was cool, and skies were vivid blue. Even the air smelled different between the seasons. Fall was redolent with burning leaves and spring had that damp loamy smell. Winter was about three months long and summer only lasted as long as school was out. 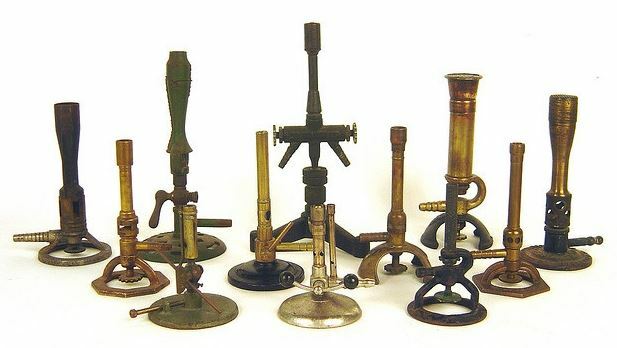 Speaking of school… Today is Bunsen Burner Day. I’m ready for a busy April! I’m nowhere near done with my spring cleaning. Bad weather, old dog therapy, old me aches and pains, and more bathroom repair snafus than we could have imagined made the whole process crawl. Be that as it may, the job goes on. My goal for completing indoor work is Easter week. Tuesday I’ll be blogging full bore here with April’s the A to Z Challenge. Topics will mostly cover fascinating aspects from history with a few science wows thrown in for good measure. I’m in the home stretch for the 100 Things Blogging Challenge. For nearly 100 days, I’ve been posting from my chosen topic: Words on the Verge of Extinction. There are 12 entries to come. Download your copy of my free 1st and 2nd chapter sampler. Your bad, but good statement reminds me of an old saying, If forecasters say mostly sunny instead of partly cloudy more people feel good about the weather. Bunsen Burner Day turns out to be a synchronicity for me. Just last week I was telling my daughter of an incident I had that scared the doo doo out of me in Navy Pharmacy Tech School. We were heating some kind of oil in a beaker. We were supposed to use a water bath. I placed the beaker directly over the Bunsen burner and got the surprise of my life. All of a sudden it was raining oil from the ceiling. Yikes. You could have had that oil in your face. Reminds me of that time I got busy while hard boiling a couple of eggs. The water boiled out of the pot and I had yoke on the ceiling! And oh the smell of scorched eggshell. That’s a good point on the forecasters. They do tend to say mostly sunny over partly cloudy. It all sounds like Partly Cloudy with a Chance of Meatballs, if you ask me! Weather predicting has got to be a heck of a job. You need never be right and you’ll never be fired. I’ll stick with old Ben Franklin who did his forecasting months in advance using weather astrology! Congrats on the new oak grove, Rose! What a fine idea. I don’t have enough space to plant much, but I can manage a new tree… as for tornadoes, raise your shields! There are no safe places, only safe people! Thanks. The grove will take some muscle but someone will enjoy it one day. 🙂 As for tornadoes…I can’t get that image of Dorothy in the flying house out of my head.